Agency StudyinSlovakia.sk represents various faculties and colleges in Slovakia. If you wish to apply to different Faculty or college, contact us, so we can provide you with more information. 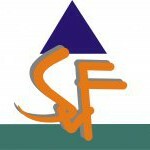 The Faculty of Civil Engineering (FCE) was founded in 1938 as the first faculty of the Slovak University of Technology (STU). The launching of its first departments laid the foundations not only for the present Faculty, but also for technical education as a whole in Slovakia. The Faculty of Civil Engineering consists of 21 departments, Institute for Forensic Engineering, Computing Centre and Learning Centre and has more than 480 employees. Faculty of Medicine in Košice is home of plenty of international students. Their number will shortly exceed 900 and currently their form 1/3 of all students. Agency StudyinSlovakia.sk directly represents this educational institution. The Jessenius Faculty of Medicine is located in Martin, city in the middle of Slovakia. This small, but prestigious faculty is home of many students from Norway, Germany, Iceland or Poland. Faculty of medicine of Martin has been rewarded as the best faculty of medicine in Slovakia. 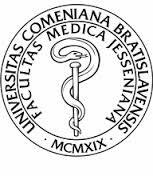 Agency StudyinSlovakia.sk is an official representative of The Jessenius Faculty of Medicine in Martin. The Faculty of economics is part of Technical university and located in the second biggest city in Slovakia: Košice. The Faculty is among TOP faculties of economics within Slovakia for more than 5 consecutive years. There are Bachelor, Master and Postdoc study programmes offered. 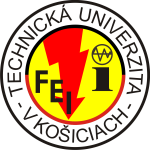 The Faculty of Electrical Engineering and Informatics of the Technical University of Košice (FEI TU) was founded on 21st of July 1969. The main mission of FEI TU of Košice is providing education on the basis of creative research especially in such fields as electrical engineering and informatics. Presently faculty consist from 11 separate departments. Wide spectrum of research and pedagogic activities may be divided in 3 different groups: Informatics and Cybernetics, Electronics and Telecommunications and Electric Power and Heavy-Current Engineering. Faculty of Mining, Ecology, Process Control and Geotechnologies historically refers to the Mining Academy in Banská Štiavnica, promoted to the academic level by Maria Theresa, in 1762. The faculty has balanced team composed of pedagogical, science & research and administrative staff, ensuring that students acquire all the necessary knowledge integrating them into the technical intelligence society. Faculty of Civil engineering of the Technical University in Kosice is the biggest faculty of its kind in eastern Slovakia. There are around 1000 students studying at all levels of study: Bachelor, Master and Postgraduate level. One of the most important features of studying at Faculty of Civil engineering is connection with praxis and research. Professors and students are involved to domestic and international research projects. Great help are structural funds of European Union, which helped Faculty to build Centrum for excellent integrated research of constructions, materials and technologies. The Faculty of Aeronautics offers university education to aviation professionals within the study programs in all the three levels – bachelor´s, engineer´s and doctoral degrees, taking into account the requirements of national and European aviation legislation. University education and scientific research and development are carried out in the basic areas of aviation – security, control and security of aviation, aerospace engineering, avionics and construction, aircraft maintenance and operation. The Faculty of Aeronautics prepares professionals for positions as professional pilots, air traffic controllers, aircraft maintenance engineers, aircraft airframe, engine and avionics system specialists and airline managers. Faculty of Mechanical Engineering is an integral part of Technical University in Kosice. It offers perspective study programs – exactly 22 programs were listed among TOP 100 most prospective study programs in Slovakia. Studying at the Faculty brings many other benefits: top equipment of laboratories, lecture halls and computer labs with the most modern equipment and software utilizing high technologies; the use of advanced information and educational training method type of e-learning and learning by doing; teaching of foreign languages and involvement of best students in scientific research process of the Faculty. The Faculty of Manufacturing Technologies is one of the nine faculties of the Technical University of Košice which ranks among the leading higher educational institutions in the Slovak Republic. Based on the recommendations of the OECD and the call of the Ministry of Education, the Faculty of Professional Studies with the seat in Prešov was established by the Technical University of Kosice on 9 July 1992. The resolution entered into force on 1 September 1992. The experimental faculty should have become a part of non-university education network of practice-oriented universities based on German Fachhochschulen model eventually the world first technical university of mining – Mining Academy in Banská Štiavnica. The main role of the Faculty of Business Management of the UEBA is to provide university education and knowledge of basic creative scientific research in the field of business economy and management. Faculty provides education at Bachelor, Master and Doctoral level in Slovak and English language. The School of Management – City of Seattle was established by law of the National Council of the Slovak Republic on December 1, 1999 as the first private school in Slovakia. It is accredited by the Ministry of Education of the Slovak Republic at the undergraduate, graduate and doctorate (PhD.) levels for programs in business administration. On top of the Slovak accredited programs, VSM with City University of Seattle offer the Bachelor of Science in Business Administration (BSBA) and Master of Business Administration (MBA) programs, and its diplomas are accredited in the USA by Northwest Commission on Schools and Universities NWCCU. School of Management and City University of Seattle have compatible programs for the bachelor and magister programs in English and the students can benefit from joint or double degree options Bc./BSBA and Mgr./MBA. The faculty have rich, practical experience and use pedagogical methods guaranteeing high levels of expertise in their fields of business administration, along with their personal responsibility for students’ education, creativity and communication. Well–established, up-to-date and progressively designed VSM and City University of Seattle curricula have prepared over eight thousand graduates for successful careers at different levels of management, including positions in top management in the USA, Europe and Asia. School of Management successfully cooperates and develops professional relationships with schools in foreign countries, currently in the Czech Republic, Switzerland, Finland, Austria and many others.